Moshe Pinhas Feldenkrais was born on May 6, 1904, in Slavuta, in the present-day Ukrainian Republic. When he was a small boy his family moved to the nearby town of Korets. By 1912 his family moved to Baranovich in what is, today, Belarus. While Baranovich endured many World War I battles, Feldenkrais received his Bar Mitzvah, completed two years of high school, and received an education in the Hebrew language and Zionist philosophy. In 1918 Feldenkrais left by himself on a six-month journey to Palestine. After arriving in 1919, Feldenkrais worked as a laborer until 1923 when he returned to high school to earn a diploma. While attending school he made a living by tutoring. After graduating in 1925, he worked for the British survey office as a cartographer. Feldenkrais was involved in Jewish self-defense groups, and after learning Jujitsu he devised his own self-defense techniques. He hurt his left knee in a soccer match in 1929. While convalescing he wrote Autosuggestion (1930), a translation from English to Hebrew of Charles Brooks' work on Émile Coué's system of autosuggestion, together with two chapters that he wrote himself. He next published Jujitsu (1931), a book on self-defense. In 1930 Feldenkrais went to Paris and enrolled in an engineering college, the École des Travaux publics de Paris. He graduated in 1933 with specialties in mechanical and electrical engineering. In 1933 after meeting Jigaro Kano, Judo's founder, Feldenkrais began teaching Jujitsu again, and started his training in Judo. In 1933 he began working as a research assistant under Frédéric Joliot-Curie at the Radium Institute, while studying for his Ingénieur-Docteur degree at the Sorbonne. From 1935-1937 he worked at the Arcueil-Cachan laboratories building a Van de Graaf generator, which was used for atomic fission experiments. In 1935 he published a revised, French edition of his Hebrew jujitsu book called, La défense du faible contre l'agresseur, and in 1938 published ABC du Judo. He received his Judo black belt in 1936, and 2nd degree rank in 1938. Feldenkrais married Yona Rubenstein in 1938. From 1939-1940 he worked under Paul Langevin doing research on magnetics and ultra-sound. In 1946 Feldenkrais left the Admiralty, moved to London, and worked as an inventor and consultant in private industry. He took Judo classes at the London Budokwai, sat on the international Judo committee, and scientifically analyzed Judo principles. He published his first book on his Method, Body and Mature Behavior in 1949, and his last book on Judo, Higher Judo, in 1952. During his London period he studied the work of George Gurdjieff, F. M. Alexander, and William Bates, and went to Switzerland to study with Heinrich Jacoby. Feldenkrais returned to Israel to direct the Israeli Army Department of Electronics, 1951 - 1953. Around 1954 he moved permanently to Tel Aviv and, for the first time, made his living solely by teaching his Method. He worked sporadically on the manuscript of The Potent Self, which he had begun in London. a studio on Alexander Yanai Street in Tel Aviv. He gave Functional Integration lessons in the apartment where his mother and brother lived. In early 1957 Feldenkrais began giving lessons to Israeli Prime Minister, David ben Gurion. In the late 1950's Feldenkrais presented his work in Europe and the United States. In the mid 1960s he published "Mind and Body" and "Bodily Expression." In 1967, he published Improving the Ability to Perform, titled Awareness through Movement in its 1972 English language edition. In 1968, near his family's apartment, he made a studio at 49 Nachmani Street as the permanent site for his Functional Integration practice, and location for his first teacher-training program, 1969-1971, given to 12 students. * I have done my best to verify dates, names, and places, though I cannot guarantee their accuracy, due to limitations of information available and discrepancies between sources. This document may not be altered or edited. 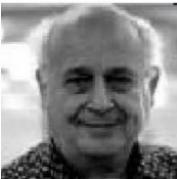 Mark Reese has taught the FELDENKRAIS METHOD® since 1977 in San Diego and internationally. He is currently writing a comprehensive biography of Moshe Feldenkrais. He may be reached though his website at FeldenkraisLearning.com.